Description: Quarter Century Theatre, Collingwood's premiere contemporary theatre company hosted their inaugural all ages 2016 BATTLE OF THE BANDS fundraiser at the Canadian Royal Legion in Collingwood and Dianna had an opportunity to speak to the contestants prior to their competition. Joining Dianna on BEACH CORNER are the five competing bands: Stolen Arcs, Telestars Rock'nRoll Show Band, The Leynes Brothers, Bad Habit and Aphiene (aka Stephanie Short). Also featured are artistic director, Rochelle Reynolds and artistic associate, Khaleel Gandhi. BEACH CORNER from Beach BOOSTER Radio is broadcast every Tuesday at 10:00 am & 8:00 pm and available as a Podcast anytime on any device from our Beach BOOSTER Radio Podcast Page. Please enjoy & SHARE! 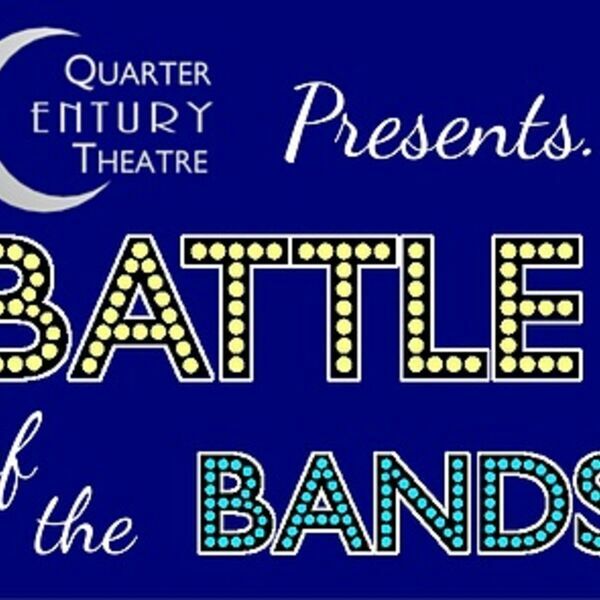 Quarter Century Theatre, Collingwood's premiere contemporary theatre company hosted their inaugural all ages 2016 BATTLE OF THE BANDS fundraiser at the Canadian Royal Legion in Collingwood and Dianna had an opportunity to speak to the contestants prior to their competition. Joining Dianna on BEACH CORNER are the five competing bands: Stolen Arcs, Telestars Rock'nRoll Show Band, The Leynes Brothers, Bad Habit and Aphiene (aka Stephanie Short). Also featured are artistic director, Rochelle Reynolds and artistic associate, Khaleel Gandhi. BEACH CORNER from Beach BOOSTER Radio is broadcast every Tuesday at 10:00 am & 8:00 pm and available as a Podcast anytime on any device from our Beach BOOSTER Radio Podcast Page. Please enjoy & SHARE!